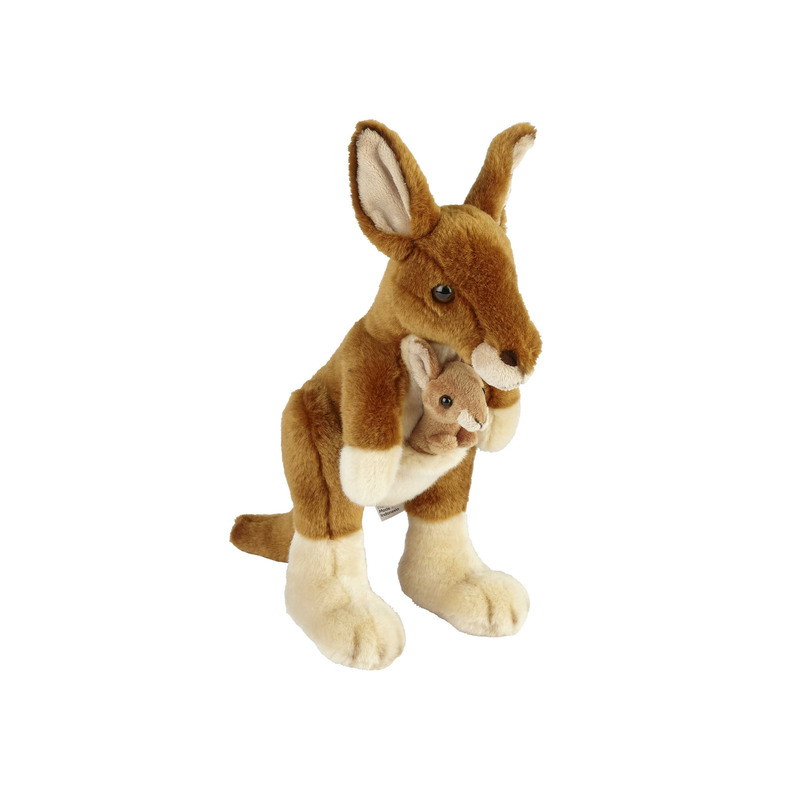 This beautiful kangaroo and baby (Joey) soft toy would make the perfect addition to any soft collection. This kangaroo soft toy is wonderfully detailed to include features such as the kangaroo’s large legs and feet which make it easy to leap and jump. As well as a pouch that has a removable baby kangaroo. Measuring at 28cm and made from super soft plush, this soft toy is perfect for cuddling.